Colorado Public Relations Insurance. 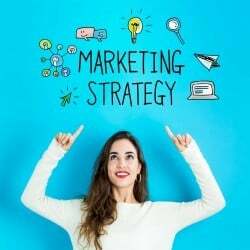 Public relations agencies are primarily engaged in designing and implementing public relations campaigns for their clients. They also engage in lobbying, political consulting and media relations on behalf of their clients. They are paid large sums of money to engage in these activities. They are often needed because a situation is already delicate and their expertise is required to smooth things over. If a client sues your firm, how much would it cost? For most firms, the cost of a lawsuit - often six or seven figures - could be devastating. Fortunately, Colorado public relations insurance can help offer protection by paying for your legal expenses. Colorado public relations insurance protects your PR firm from lawsuits with rates as low as $37/mo. Get a fast quote and your certificate of insurance now. 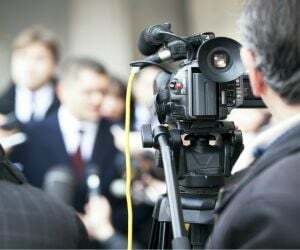 In the constantly changing world of PR it can be easy to make a mistake and when your firm is representing others, you need to ensure that you have Colorado public relations insurance protection. As an example, a CO PR firm could be sued because they failed to improve the image of a professional athlete, resulting in the loss of a corporate endorsement. Also, a PR firm could be sued by a lobbying organization because they did not succeed in changing public opinion regarding a certain issue. Due to the possibility of facing expensive lawsuits, public relations consultants should consider purchasing professional liability, also know as errors and omissions (E&O) insurance. This Colorado public relations insurance covers you for the financial consequences of any mistakes you, or your staff, may make in providing professional advice. It also protects against allegations of professional misconduct or negligence to help safeguard your personal and business reputation. You have to decide what level of cover is enough for you. Consider what you do, who you do it for and how much it's worth. Think about worst-case scenario and what could go wrong. Always bear in mind that it better to have too much coverage a opposed not enough. Your legal defense can be very costly. Your Colorado public relations insurance coverage has to be enough to cover all of this. Commercial General Liability Insurance: General liability protects your firm from a variety of claims, including property damage and bodily injury. For example... If you're meeting with a client and spill coffee on their laptop, you're legally liable for causing the damage (and potentially for loss of documents and data, too). Also, slip and fall type accidents in your CO office are covered as well. Directors and Officers Liability: This Colorado public relations insurance protects directors and officers of your firm if there is a lawsuit claiming they managed it without proper regard for the rights of others. The policy will pay any judgment for which you are legally liable, up to the policy limit. It also provides for legal defense costs, which can be substantial even where there has been no wrongdoing. Business Owner's Policy (BOP): BOP insurance bundles basic coverage from property and liability risks into one package. This type of Colorado public relations insurance often includes coverage for property, liability, crime, and flood. BOP also often includes business interruption insurance, which reimburses you up to a year of lost revenue from damages. BOP insurance does not include coverage for E&O and commercial vehicles. CO workers' comp, health, and disability insurances are also not part of a BOP. 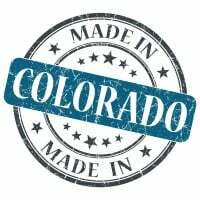 Request a free Colorado Public Relations insurance quote in Akron, Alamosa, Arvada, Aspen, Ault, Aurora, Avon, Basalt, Bayfield, Bennett, Berthoud, Boulder, Breckenridge, Brighton, Broomfield, Brush, Buena Vista, Burlington, Carbondale, Castle Pines North, Castle Rock, Cañon City, Cedaredge, Centennial, Center, Cherry Hills Village, Colorado Springs, Columbine Valley, Commerce City, Cortez, Craig, Crested Butte, Cripple Creek, Dacono, Del Norte, Delta, Denver, Durango, Eagle, Eaton, Edgewater, Elizabeth, Englewood, Erie, Estes Park, Evans, Federal Heights, Firestone, Florence, Fort Collins, Fort Lupton, Fort Morgan, Fountain, Fowler, Fraser, Frederick, Frisco, Fruita, Georgetown, Gilcrest, Glendale, Glenwood Springs, Golden, Granby, Grand Junction, Greeley, Greenwood Village, Gunnison, Gypsum, Hayden, Holyoke, Hudson, Idaho Springs, Johnstown, Julesburg, Keenesburg, Kersey, Kremmling, La Junta, La Salle, Lafayette, Lakewood, Lamar, Las Animas, Leadville, Limon, Littleton, Lochbuie, Lone Tree, Longmont, Louisville, Loveland, Lyons, Mancos, Manitou Springs, Mead, Meeker, Milliken, Minturn, Monte Vista, Montrose, Monument, Mountain Village, Nederland, New Castle, Northglenn, Olathe, Orchard City, Ordway, Ouray, Pagosa Springs, Palisade, Palmer Lake, Paonia, Parachute, Parker, Platteville, Pueblo, Rangely, Rifle, Rocky Ford, Salida, Severance, Sheridan, Silt, Silverthorne, Snowmass Village, Springfield, Steamboat Springs, Sterling, Superior, Telluride, Thornton, Trinidad, Vail, Walsenburg, Wellington, Westminster, Wheat Ridge, Windsor, Woodland Park, Wray, Yuma and all other cities in CO - The Centennial State.